China is working not only to improve its food safety, but also to a rather ambitious nutritional plan. 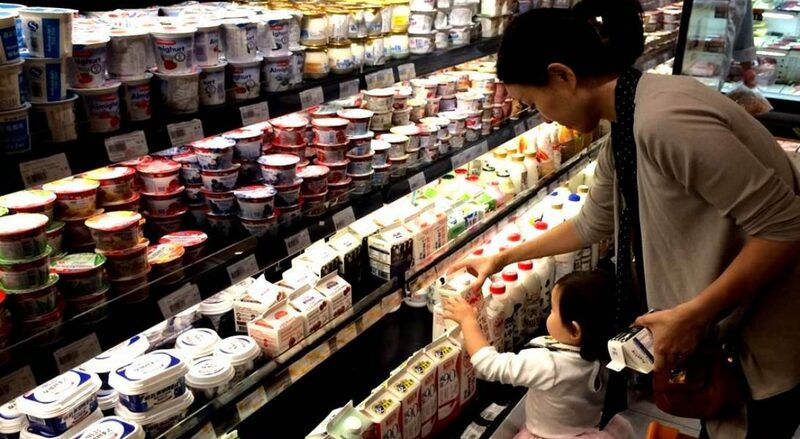 On June 30, 2017 the State Council issued the (first ever) Chinese Nutritional Plan, a non-binding document (a policy plan, not a regualtion) which is aimed at providing guidelines food policies to be implemented at state and local level, which will eventually shape food market and impact food companies. The document acknowledges that despite “in recent years, the living standards of [Chinese] people have continuously improved, the nutrient supply capacity has been significantly enhanced, and the national nutritional health has improved significantly”, problems still exists such as “co-existence of insufficient nutrition and excess of nutrition for citizens, nutrition-related diseases, not generalized healthy nutrition lifestyle”. The Nutritional Plan is aimed at tackling these challenges, and sets key-goals to be achieved through local government policies, public funding, whole-society approach and international cooperation at scientific level. The plan sets goals at short term (by 2020) and medium-long term (by 2030). preventing and treating iodine deficiency, also through better monitoring of urine iodine, and salt iodine. The document calls for enhancement of research on nutrition-related legislation, in order to improve and update the standard regulations: nutrition labeling standards, food nutrition fortification use standards, infant formula standards are expressly mentioned in this regard (shall we expect revision of GB 28050 or GB 14880 anytime soon?). Research in particular shall focus on Chinese citizens’ dietary nutrient reference intake, malnutrition risk screening, diabetes dietary guidance, establishment of Chinese citizen iodine nutrition status database. Interestingly the document expresses the wish that enhancement of research on Chinese citizens will reduce dependence on results of research conducted on foreign populations. The Plan aims at improving society’s awareness over nutrition and healthy life style. For example, the role of professional nutritionist should be stressed in schools, kindergartens, retirement houses pension agencies and other places equipped with or employ nutritionists. In hospitals the aim is to have 1 nutritionist per each 150 patients. Nutritional control shall be more and more used also as a tool of control of chronic diseases such as hypertension, diabetes, stroke and cancer. People’s awareness for nutrition shall be improved through knowledge sharing by media as well as by tackling fake information by pseudo-science, rumors, false and/or misleading nutrition propaganda. Agriculture and food industry should be pushed to deliver products of higher nutritional value and healthier. Whether Chinese agriculture can deliver in this regard will be a fascinating challenge – let us remember that (for instance) GB 19310 issued in 2010 still sets a minimum content of protein for raw milk of 2.8%, lower then in other countries (where it is usually set at 3%), possibly for the reason that Chinese dairy industry may not be able to deliver such amount. At the same time, high-quality protein intake shall be enhanced (both animals and vegetable source). The Plan also advocates for changes in food processing as well as food storage and transportartion technology to reduce nutritional loss and to reduce generation of toxic and hazardous substances through the process. These guidelines have been issued in 2016 (following the ones issued in 1989, 1997 and 2007) by the China Dietary Commission, and are expressly referred to in the Nutritional Plan. These guidelines stress five core recommendations. Daily meals should include a variety of foods such as cereals and potatoes; vegetables and fruits; livestock, poultry, fish, eggs and dairy; soy nuts and other food; ideally more than 12 kinds of food per day, more than 25 per week. Cereals and potatoes are an important feature of the balanced diet model, with a recommended daily intake of 250 to 400 grams, of which 50 to 150 grams of whole grains and beans, potato 50 to 100 grams; and energy from carbohydrate should account for more than 50% of total energy. Weight is an important indicator of human nutrition and health status; diet and movement are key to maintaining a healthy weight. Both low weight and overweight increase risks of disease. It is recommended 5 times per week of moderate strength physical activity, with total accrued time more than 150 minutes; and a daily activity of at least 6000 steps. Vegetables, fruits, milk and soy products are an important part of a balanced diet, while nuts are a useful supplement. Vegetables and fruits are important sources of vitamins, minerals and dietary fiber. Milk and soybeans are rich in calcium, high quality protein and B vitamins, which play an important role in reducing the risk of chronic diseases. Recommended daily intake of vegetables is 300 to 500 grams, with dark (i.e. : dark green, red, orange, purple ) vegetables accounting for half of it. Fruit should be eaten every day, with recommended daily intake of 200 to 350 grams of fresh fruit. Fruit juice cannot replace fruit. A variety of dairy products is also recommended, with recommended daily intake of liquid milk of 300 grams. Recommended daily intake for soybeans products is 25 grams per day. Fish, poultry, eggs and lean meat can provide high-quality protein, vitamins A and B, and some have higher content in fat and cholesterol. Most recommended animal foods are fish and poultry, as their fat content is relatively low and fish has higher amount of unsaturated fatty acids; eggs are rather complete with all kinds of nutrients; lean meat is recommended over other meat. Excessive consumption of smoked and cured meat can increase the risk of cancer. Recommended weekly intake of fish is 280-525 grams, for livestock and poultry meat 280-525 grams, for eggs 280-350 grams; the average daily intake of fish, poultry, eggs and lean meat should be around 120 -200 grams. Excessive consumption of these four ingredients results in high blood pressure, obesity and cardiovascular and cerebrovascular diseases. Ideally adult should not have daily salt intake higher than 6 grams, and for cooking oil no higher than 25-30 grams. For sugar the recommended daily intake is not more than 50 grams, but ideally not more than 25 grams. Water plays an important role in life activities, and the recommended intake for adults is 7 to 8 glasses per day (1500-1700 ml), ideally drinking boiled water and tea, while sugar shall be reduced in drinks. Children and adolescents, pregnant women, nurse should not drink alcohol, while for adults alcohol intake shall be no more than 25 grams (men) and 15 grams (women). Food waste shall be reduced, and consumption of on-demand food/meals shall be promoted.